At the office of Dr. Angela Reiter and Associates, our dedicated staff are who make our therapy practice so effective. Our mission to provide an unwavering commitment to our individual patients is what makes us stand out; at Dr. Angela Reiter and Associates in Eastchester, we strive to make a true difference in mental health and overall well-being. Our goal is to not only diagnose certain conditions but to provide effective treatment that brings you peace and comfort. Whether you are looking for therapy or you would like a mental health evaluation performed, you can rely on one of our experienced doctors to provide you with the specialized treatment and care that you deserve. We believe that through our services we are able to build a long-lasting relationship founded on trust and integrity with each of our patients. We want to get to know you and invite you to get to know us before you begin therapy with us. Read about each of our team members below and get to know them on a more personal level. Dr. Fernando Reggianini is a licensed psychologist specializing in neuropsychological assessments, Cognitive Behavioral Therapy (CBT), and academic coaching. He obtained his Doctor of Psychology (PsyD) in bilingual school psychology from St. John’s University, Master of Science in Education (MSEd) in bilingual school psychology from Fordham University, and Bachelor of Art (BA) from Rutgers University. Having worked in schools districts in NYC, Westchester County, and NJ, he has helped children and adolescents experiencing stress, depression, anxiety, anger, impulsive behaviors, social skill deficits, life changes related to school, family, or work, and multicultural issues. In between his undergraduate and graduate education, he was a teacher of English as a New Language (ENL) in South Korea and an English language arts teacher in Chile. He is able to provide psychological services in English and Spanish. Dr. Uddin has extensive training in cognitive -behavioral therapy (CBT), psychodynamic therapy, motivational interviewing, and dialectical behavior therapy (DBT). She is also trained in conducting comprehensive psychological and neuropsychological evaluations used in developing educational and behavioral intervention plans, including IEP plans and 504s. Dr. Uddin has experience working with patients presenting issues including mood disorders, anxiety disorders, learning disabilities, ADHD, OCD, PTSD, PDD, and disruptive behavior disorders. She has a background in working with children, adolescents, and adults struggling with emotional regulation, impulsivity, poor problem-solving skills, and interpersonal conflicts. Dr. Uddin utilizes evidence-based treatments which focus on reducing symptoms by tailoring treatment to an individual’s needs. Her other areas of interest include the development of effective conflict resolution and making healthy adjustments to major life changes. Dr. Uddin received her B.A. and M.A. in psychology from the City College of New York, and completed her doctoral training in Clinical Psychology from Walden University. She completed her pre-doctoral internship at the Behavioral Health Center of Westchester Medical Center where she provided psychotherapy and psychological assessment to children and adolescent in both inpatient and outpatient settings. 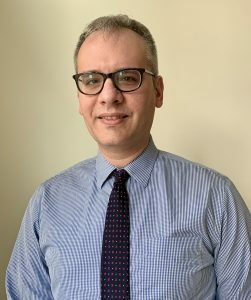 Prior to Westchester Medical Center, Dr. Uddin provided clinical services to children, adolescents, and adults at the Family Life Education Center (FLEC) of Newark Beth Israel Medical Center. She also serves as a part-time faculty at the Social and Behavioral Sciences Department at Mercy College. Dr. Uddin is also fluent in Bengali & Urdu. 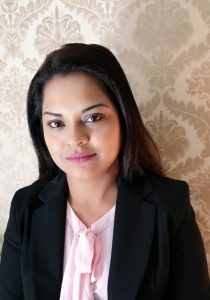 Dr. Uddin also recently completed her CBT-I certification, Cognitive Behavioral Therapy for Insomnia and helps patients beat Insomnia, without expensive prescriptions which can cause harmful side effects. 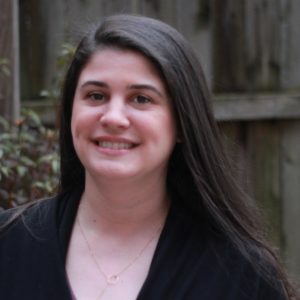 Julie Pappalardo, LMHC has a Master’s in Mental Health Counseling and received her license while gaining clinical experience working at St. Vincent’s Hospital in Westchester, NY for several years. During this time she provided group and intensive therapy for adolescents and adults facing a broad range of challenges. These challenges included depression and anxiety disorders, addiction, personality disorders and serious mental illnesses. She provided a collaboration of psychodynamic therapy as well as evidence-based treatments of Cognitive Behavioral Therapy (CBT), and Dialectical Behavior Therapy (DBT). Julie has been intensively trained in DBT through Marsha Linehan’s Behavioral Tech trainers. She concurrently works at Columbus Park Behavioral Health, treatment for eating disorders. Her treatment modalities include an integrated style incorporating, behavioral and cognitive therapies with humanistic approaches in an effort to fit the needs of the individual client. She is also a proud member of the American Counseling Association (ACA). Julie strives to create a warm, trusting environment, while delivering evidenced-based treatments in order to maximize outcomes and provide genuine healing and wholeness to individuals. Alexis Testa, LMHC, a Licensed Mental Health Counselor, educator and advocate. She is passionate about helping her clients focus on the importance of self care. 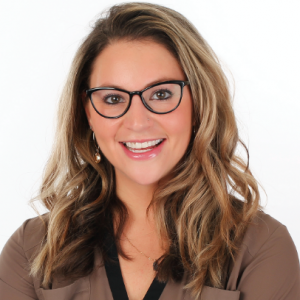 Alexis gained extensive clinical experience and provided clinical supervision while working with a variety of patients at St. Vincents Hospital in Harrison, NY. She specializes in mental health issues unique to all stages of maternal health. Alexis counsels women, men, and couples who are going through, or actively seeking infertility treatments. She also works with patients during the postpartum period as well as adjusting to parenthood. Anxiety, depression, and isolation can become hard to handle with no support. 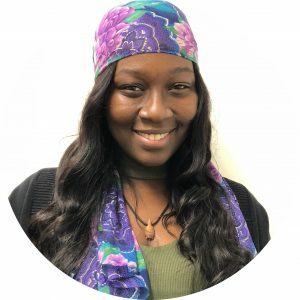 Alexis works with individuals using a Strengths-based and Cognitive Behavior Therapy approach serving circumstances which are unique to individuals and families. Alexis is a member of the American Society for Reproductive Medicine (ASRM) as well as the Mental Health Professional Group within the ASRM. She provides a safe therapeutic environment with an emphasis on helping clients achieve a specific set of goals that are established collaboratively during early stages of treatment. Rosemarie Falciano MHC-LP, a mental health therapist that specializes in helping people gain control of their well-being. Working with children, adolescents, adults, couples, and families. Helping individuals cope with daily stressors and life-long disorders. I work closely with parents to develop better strategies in helping their child succeed. I assist in IEP and 504 planning for the school year. My treatment approach utilizes cognitive-behavioral therapy, interpersonal skills, mindful techniques, and behavioral intervention. My focus includes assisting in depression, anxiety, mood, and behavioral disorders. We are excited to announce that we are a site for a Northwestern Masters Counseling student who will offer adult patients free individual therapy sessions. Please contact our office to discuss scheduling! Samelle Tyson BA, is a current student in the Masters Program through Northwestern University. She obtained her Bachelors in Psychology with a minor in dance from SUNY Buffalo State University. Prior to joining Dr. Angela Reiter, Samelle worked with children, adolescents, and young adults. She is currently working at Saint Dominic’s Home which specializes in providing foster care and prevention, developmental disabilities, community-based mental health, therapeutic education, and preschool services to about 2,000 children, adults, and families. Samelle aspires to create a warm and safe environment as well as building a trusting relationship with each individual. If you have further questions about our staff or our therapy practice, read over our FAQs page or give us a call. If our staff sound like the right fit for your needs, contact us for your free 15-minute consultation and schedule your first appointment!